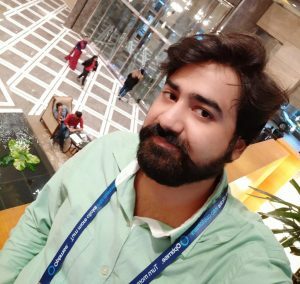 Hello friends, Today I will tell you method on how to Export Chrome Bookmarks in a few seconds. Users can export chrome bookmarks and Import bookmarks in Chrome. You can transfer bookmarks from pc to Android or Mac to PC or any device vice versa. You can use this same method on any device to import or export Google Chrome bookmarks. The bookmarks are like saving the same page of a website on Google Chrome browser. We can bookmark any website we like and want to read later. Users click on the star sign, and it becomes blue means, its bookmarked. Now that specific page is bookmark and users can click on that particular bookmark, and the page they bookmark will appear. It is one of the best ways to save a webpage online for further works. We sometimes bookmark several vital websites with news and later read them or share with others. Bookmarks are very important for official use or a student. Where in office an employee can keep the record of all work done by him on the website and later share the bookmark with seniors to show the work. A student can keep a record of the book of important education website and share it with their friends. Chrome Bookmarks are stored in C:\Users\AppData\Local\Google\Chrome\User Data\Default. However, these files location can be changed depending upon your Windows files and folders. You will find these two files Bookmarks” and “Bookmarks.bak.” Edit them and change the bookmark. Note: These locations can be changed, depending upon location. Users can use this method on Windows PC/Laptops to export chrome bookmarks. This method is working, and you can quickly export any bookmark list from your computer. Use shortcut Keys Ctrl + Shift + O on your computer. Now save the file at the desired location and send it to anyone. 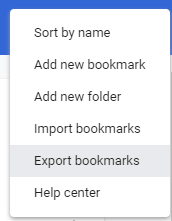 To import chrome bookmarks. You need to have Chrome Bookmarks in HTML format. You will get a chrome bookmarks by following the above method. Once you have the Chrome Bookmarks. And change 3 points from Export to Import. Now select the file and open. You can use the method mentioned above to both import or export bookmarks. Users can even export Chrome bookmark from PC to Android. It is the easiest method as you can export without any external software and users can import or export in just a few seconds.